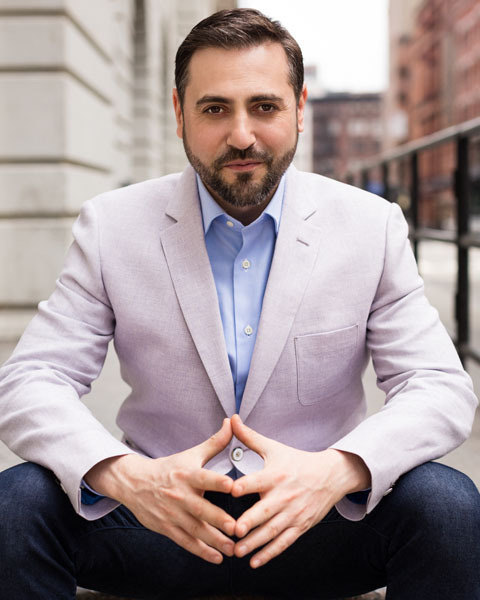 David Rosen, Licensed Real Estate Agent with Douglas Elliman, is in the top echelon of New York City real estate agents, having sold over 1,000 homes, leading his team to become one of the Top Five Teams in TriBeCa, amongst many other achievements. This year, through the first quarter, Rosen has already sold over 50 homes and is on pace to do over $100M in sales. and sold a townhouse at 161 W 91st street without a cooperating broker. His fourteen years in the field have given him experience with almost every facet of the real estate industry, established him as a deal maker, and a collaborative negotiator who scores big for his clients. Yet what makes Rosen exceptional is his unwavering commitment to each and every client—from celebrities and the ultra-rich to the working class. Rosen is the rare agent who understands the art of the sell and is someone you can trust, making him the go-to agent to get the job done for a wide range of clients. Choosing the right realtor to partner with you during one of your biggest life decisions can be daunting. Often, identifying the person or the team that understands “the art of the sell” from an oversaturated community of agents feels impossible. Rosen has experience with almost every facet of the real estate industry, having jumped in head first right out of college into a Real Estate sales career in 2005. He quickly rose in the ranks to became the senior vice president of Green Light Real Estate in Phoenix, Arizona. With his leadership, he brought in over $10 million. He soon started his own company, Home-saver Real Estate, which he managed for two years before selling it. After his entrepreneurial venture, Rosen moved onto work with the Elliman’s Rubin Team, until 2015. While there, he earned top acclaim from multiple outlets, including being part of one of the top 100 teams in the nation according to Wall Street Journal. The average sales price he is currently marketing is around $1M, though he has extensive experience with luxury homes as well, having helped buyers and sellers on properties over $10M. You can catch Rosen at his various workshops he hosts around the city, dishing on topics including the benefits of real estate investment and how to avoid common pitfalls. I’ve definitely seen an increase in apartments being sold to Gen Z’ers, individuals who are 21 and below. Young people love homeownership, and why shouldn’t they? Everything about leasing is somewhat demeaning, everything about homeownership is empowering, and nobody relishes self-empowerment more than Gen Z.